Today I want to advocate weighted nonlinear regression. Why so? is the BLUE (Best Linear Unbiased Estimator) for linear regression and nonlinear regression with small errors (http://en.wikipedia.org/wiki/Weighted_least_squares#Weighted_least_squares), an important fact frequently neglected, especially in scenarios with heteroscedasticity. equal to or greater than the calculated one. 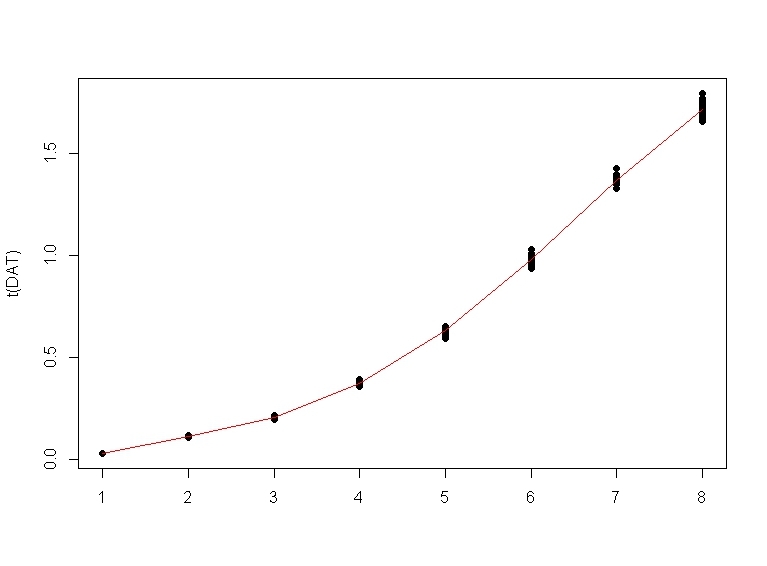 This can be calculated by 1 - pchisq(chi^2, nu) in R.
-magnitude and compare unweighted and weighted NLS.
. IMPORTANT: we need to replicate the weight values by 20 in order to match the data length.